The Predator is getting ready to blast into theaters next month and a fresh look at the classic hunter has been released to remind everybody of the franchise’s 1987 roots. As far as action-thrillers go, it’s hard to beat 1987’s Predator, which director Shane Black is completely aware of, and not because he played the part of Hawkins in that film. The franchise is from another time, which Black is trying to capture and bring to a new generation. The director jokes that he decided to make the movie as a way to stave off a midlife crisis, but there’s obviously a lot more to it than that. Shane Black is now in his 50s and admits that he began to look back at his childhood and life as a young adult before making The Predator. The director admits that the idea of the movie stemmed from nostalgia. The late 80s were a great time for the action genre, and Black was lucky enough to be a part of it. He had this to say. As stated above, Shane Black knows the power of the original Predator movie. The director talked about all of the components that made it so great and then explained why he wanted to tackle The Predator. And part of the decision that was originally based off of nostalgia was taking a practical effects approach while creating a love letter to the original film. Black explains. It was recently revealed that The Predator, along with the new Halloween, will premiere at the Toronto Film Festival, which takes place from September 6th to the 16th. That premiere is coming up quick, especially considering that The Predator just finished another quick round of reshoots. Shane Black has conducted a few reshoots to help address some of the problems that came to light after initial test screenings. However, after all of the images and trailers that have come out, it looks like Black has made what he set out to make, and it looks awesome. 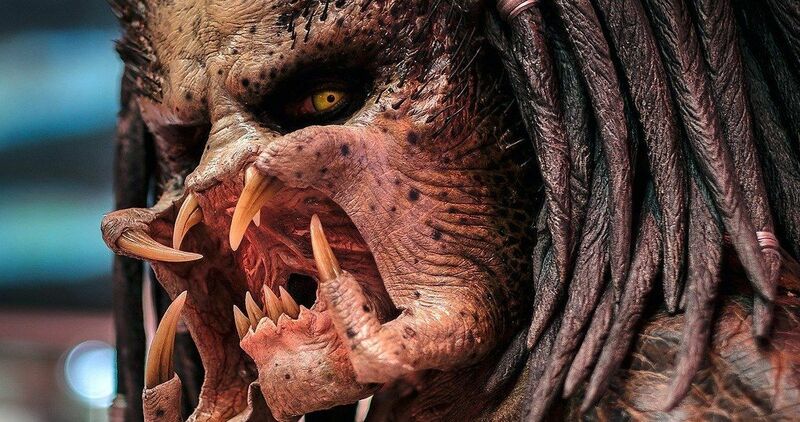 Shane Black’s attempts at making a “love letter” to the original Predator movie have many excited to see what the director was able to come up with. But, The Predator already has the cards stacked against it, standing in the shadow of the original 1987 movie. With that being said, many fans would be extremely happy to just get the second-best film in the Predator franchise. You can see the brand-new image of the classic hunter from Shane Black’s The Predator below, thanks to Entertainment Weekly.